Call No. 1: Brandon McCord. Younger brother. Garrett: Hey Brandon. What's up? Brandon: I'm cooking beet greens! They're steaming! Brandon: Did you know you could eat these? Garrett: Yes. You can also eat carrot greens. Stir-fry them, toss them into salad, or make them into a pesto. Brandon: Oh, okay, cool. I'm learning to cook more for myself more. It's really fun actually. I have a chicken marinating right now. Garrett: Very cool. Good for you! Brandon: What are you doing? Brandon: They come in yellow? Garrett: Yes, the flesh is. And, unfortuneately, it's not pink. The yellow ones have a slight cantaloupe flavor that I find somewhat distasteful, but this one is mild, so it's fine. Brandon: Oh. Hey can I call you back? The greens are burning I think. Maybe? Call No. 2: Steve McGee. Uncle on father's side. Garrett: ...Yes, we're a litigious state. Yes, California has traffic that slows down if there's a ratty boot abandoned along the pullover lane. And, yes, California has to rework immigration laws so workers can get here easier. I agree. Yes. Steve: So how is not Kansas better? Garrett: It's Kansas. You have tornados, snow, all and all just terrible weather, and the corn outnumbers the state population. Your only claim to fame is Dorothy Gail and that's because she's famous for leaving. Plus, she's not even real. Steve: Alright. I'll give you that. But the people are nicer. Garrett: Only in manners. You're a red state. They hate the liberals. "You don't belong here," they would cordially say before berrating my sexuality and support of Planned Parenthood over Kansas-style BBQ and a slice of pie. Garrett: Steve, can I call you later? I'm chopping up watermelon for sorbet. I'm gonna lose a finger. Steve: Alright, call your dad. Call No. 3: Suzanne McCord. Mother. Mother's Voice Mail: Hi you've reached Suzanne. I'm not home right now so please leave your name, number, and message - slowly - and I'll get back to you as soon as I can. Garrett: Hi mom. Guess you're out biking or something. Call me back when you can. Probably not in the next few minutes as I'm about to process everything in the food processor and I've got simple syrup boiling away and I try not to talk on the phone when I have boiling sugar or sharp objects going. Just a personal policy. Anyways, yes, call me back. I have to chat with you about this visa for China. Seriously, I swear, the Communist Party must want to recruit me if they need to know my father's profession, my Kaiser number, and the phone number of a hotel I can't pronounce somewhere in Xi'an, which I'm not sure I can even find on a map, yet. Will they still let me in if they know dad's a therapist and I work in journalism? I'm a little nervous about the latter, particularly. 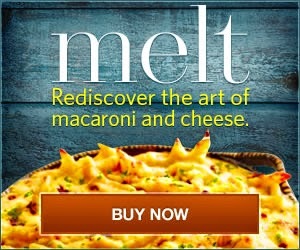 Given, it's in food, but still. Anyways, love you lots. Bye. Call No. 4: Michael McCord. Father. Dad: Garrett? I can't hear you! Garrett: Hold on! I have the ice cream machine running! I can't hear you! Let me go outside! Dad: I can't hear you over the background noise! Call me later! Garrett: Wait! I'm running outside as fast as I can! The patio door just gets a bit stuck! Call No. 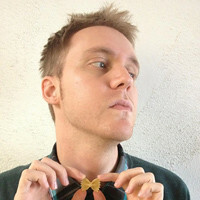 5: Bryan McCord. Older brother. Bryan: Hey, little brother. How are ya'? Garrett: Eating sorbet and trying to work on this proposal. You? Bryan: Good, just took the dog out for a run. Krista is upstairs taking a nap. How did the apartment stuff go? Did you figure things out with the mold and the complex? Garrett: Not yet. Working on it. I'm so far behind work wise because of this nightmare. First the flood. Then the flood part two. Now mold is growing everywhere. It smells of sewage and the after party for Dore Alley all rolled up into one noxious fume. If childhood trauma had a smell then my apartment is that. Bryan: Wait until you acheive homeownership and you have to pay for it all yourself. Bryan: That's what you'll say when you pay $3000 to get your roof redone. Garrett: No! Ice cream headache! Ugh! Bryan: Ouch. Hey, can I call you back later? I think Daisy just threw up some grass in the house again. Garrett: Go. Ow. Yes. Call back. And my family complains that I never call. 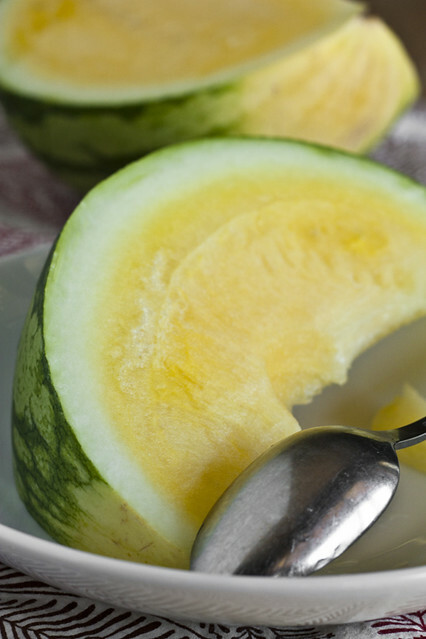 Pulse the watermelon, simple syrup, corn syrup, and tequila in a food processor or blender. Chill mixture before pouring into an ice cream machine. Process via manufacturer's instructions. I moved to Houston back in 2007 from Upstate NY. My mother and I speak on a regular basis, but that is pretty much it. My best friend seems to think I never call. Anytime we speak it is "wow I haven't talked to you in forever..." She has never called me in 4 years of living here. "Well how do i call when all your numbers are out of service?" You actually seem to have normal people in your family. How odd. You wouldn't believe mine. After one Thanksgiving, my son who was about ten, was wondering how many Thanksgiving dinner conversations featured discussing which of their high school buddies were in jail, or murdered, or rehab, or still using drugs and the stupid things done under their influence. And I agree about Kansas. I made coconut sorbet, you use coconut milk out of a can. Safer for you. You know... Kansas isn't so bad. We might be a red state, but there are still plenty of us here that are more open-minded than you give us credit for. The risk of tornadoes is blown out of proportion, but you're 100% right about the snow... bleh. Your posts always make me smile. Thanks for all you do. Will have to give the sorbet a try. With your addition of Tequila, it's just the thing for our Texas heat. Yep. I live in Kansas. Been here a year and I'm so ready to leave. Only here for work. Blah. 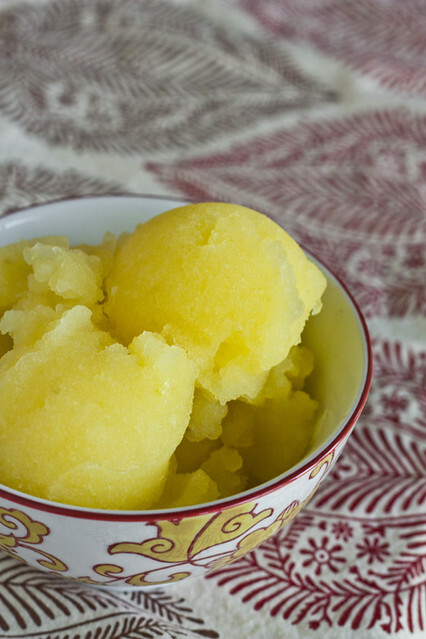 I was surprised to see that watermelon sorbet was YELLOW! Well, blow me over. Sorry, I shouldn't make wind jokes, with the tornado situation. Bad form. Never in my life have I seen a yellow watermelon! Where did you pick that one up, Garrett?? Yum..perfect for August. Love that the color is yellow. Seems like you and your family get along pretty well, compared to most of the families out there. LOL...you're one of the fortunate ones! Another excellent post, loved it! Also, you are visiting China? I was born in Xi'an! It's amazing historic city with amazing food. I hope you'll enjoy it! Yue: In mid September. I'll actually be seeing Xi'an! Okay, first off, I love your blog. You are hilarious and these recipes are incredible. I read Vanilla Garlic religiously when I was working in China this summer, actually. Which brings me to why I am commenting now. Be careful about mentioning the fact you are a journalist, especially on the visa papers. You may want to opt for another box on the visa form. Just saying, I had to go through the visa process in China four times, and every time I was warned to stay as far away from the journalism box as possible. Okay, just had to get that out there. Have a great time! I was there seven months and loved it. I love chilly White Russians and the local brews of summer, but on the advice of my doctor I've decided to opt out of alcoholic drinks, which means I'm experimenting with other interesting drinks and drinkishes. This looks really fun - thanks for the inspiration. :) Any tips on what I could sub for the tequila? Jasl: Just leave it out, though it may be a bit icy. nope. no way. never tell you're in journalism. not even about blogging. 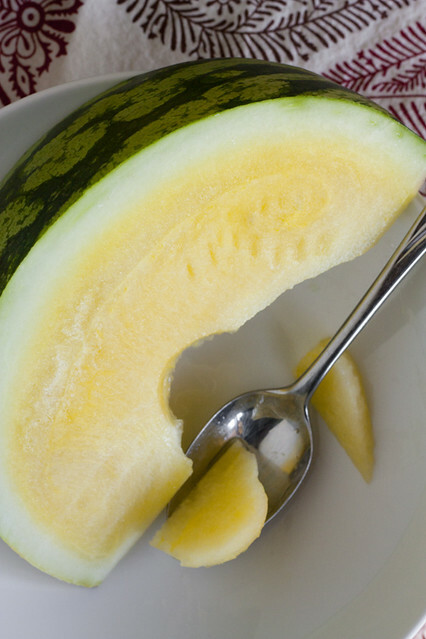 by the way, it's my first time seeing a watermelon with yellow insides. very interesting. and you managed to make a sorbet out of it. very nice. One: This is the most AWESOME blog ever. The most awesome blog. Ever. 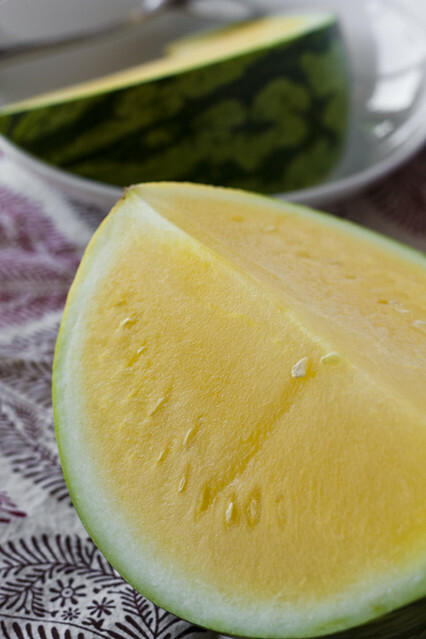 Two: I'm pretty surprised few people have heard of yellow watermelon; I eat it all the time. The only trouble is discerning which watermelons are pink and which are yellow...they all look the same outside. Three: I'm going to stop numbering my points and start telling you how much this idea rocks. Watermelon + Sorbet= Summer coolant extraordinaire. When I get an ice cream maker (one of these days), it'll be the first thing I make. And finally, I thank you for your post on -expletive-Cranberries-expletive- (I love them too) which I found through Saveur.com. Thank heavens and fate and whoever's out there for letting me find this blog because: I discovered your immensely funny writing and great food. The best, you are the best!